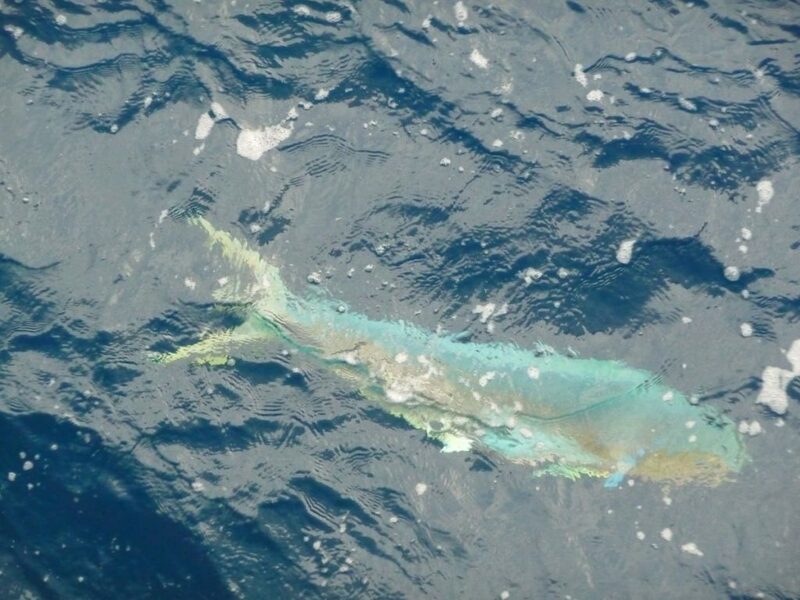 Swimming smoothly along aside the JR this morning was a Mahi Mahi. These beautiful fish are characterized by their shimmering scales of greens, blues and silvers, long cylindrical bodies and sharply concave fins. I first saw the fish 8 hours ago and it is still present off the portside….